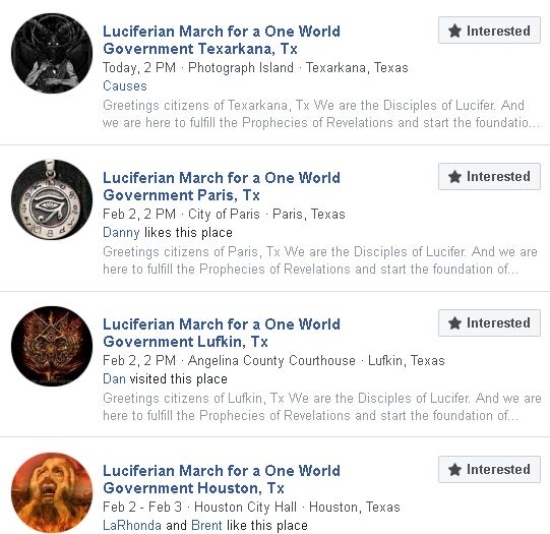 Social media has been buzzing locally regarding a planned “Luciferian March” in downtown Texarkana on Saturday, February 2, 2019. 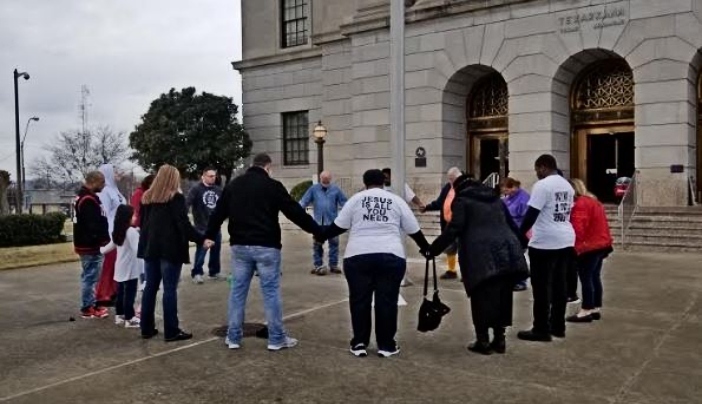 No Luciferians showed up, only Christians joined in prayer. 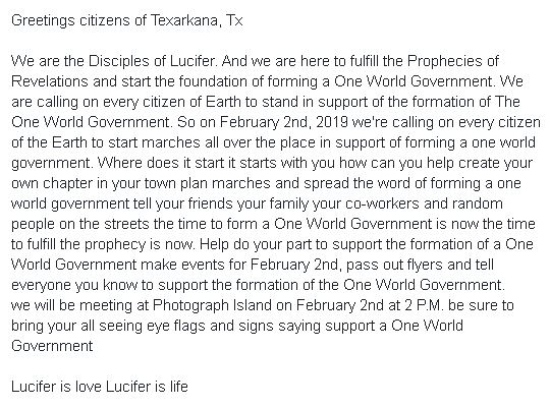 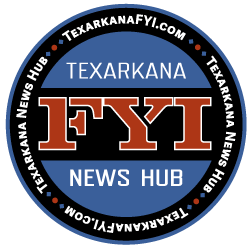 Representatives from a number of local ministries congregated in the rain at the Federal Building in downtown Texarkana in response to the planned Luciferian March for a One World Government hosted by Disciples of Lucifer – Texarkana. 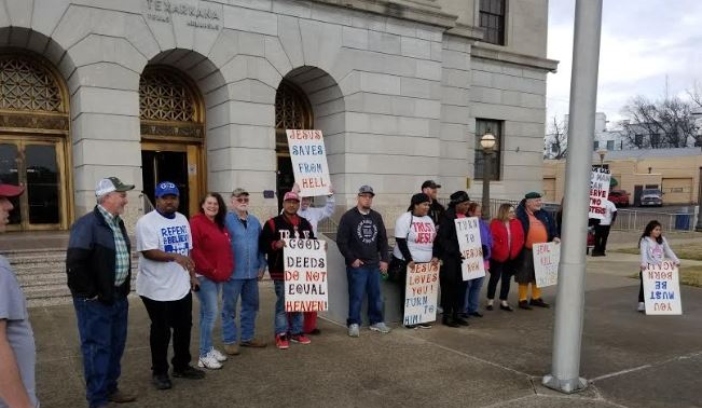 Some came from as far as an hour away to pray at the Post Office and spread the love of Jesus. 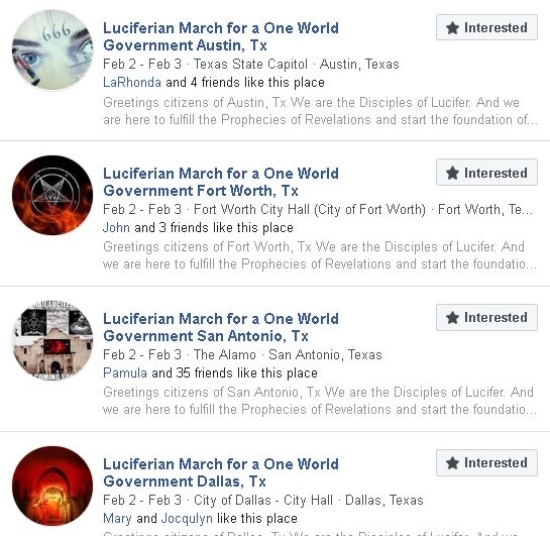 Though it got folks talking, if you look at the numbers of responders to the event pages across Texas, it’s pretty doubtful there was a real “march” anywhere. 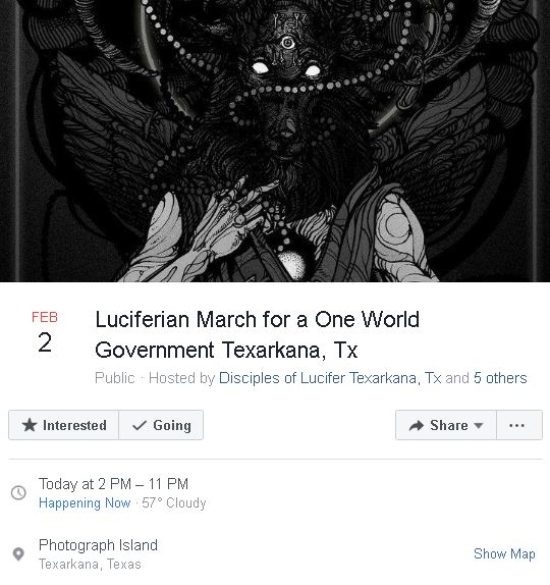 Maybe it was the drizzling rain that kept the Luciferians from their planned event in Texarkana… can’t say for sure because nobody was there representing the group to ask.